Every cat is unique with it’s own looks and personality, but when most people think of cats, they think of a fairly generic looking animal. There are, however, some very strange looking cat breeds out there. Have you ever seen a cat with folded ears or curly hair? Check out our list below to see the unique breeds we could find! 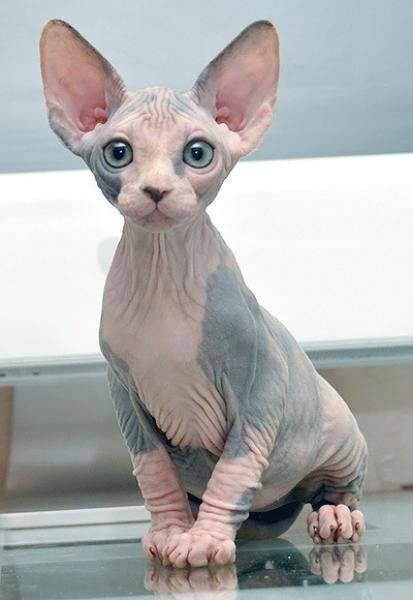 The Sphynx has been bred for its lack of coat, though it’s not a truly hairless breed. They have a very thin layer of down fur, and are unique in that their skin color is in the pattern their coats would be if they had one.